Miles upon miles of palm trees line the land just inside the coastal shores. Jungle covered mountains plunge into the Pacific coast, or fall short to reveal golden sand beaches, waiting to be discovered and explored. This area along the coast of the Mexican Riviera is host to three main costal resort towns – Manzanillo, Puerto Vallarta and Mazatlan – as well as the exclusive and luxurious resorts along the Costalegre between Puerto Vallarta and Manzanillo. Today, this region is extremely accessible – by air and by road – and has become a favorite holiday destination for foreigners and Mexicans alike… read on and discover why. Puerto Vallarta was first made famous by the film shot in the town “Night of the Iguana,” starring Richard Burton and Ava Gardner. The media attention this generated at the time opened the world’s eyes to what Puerto Vallarta had to offer. There is good reason. 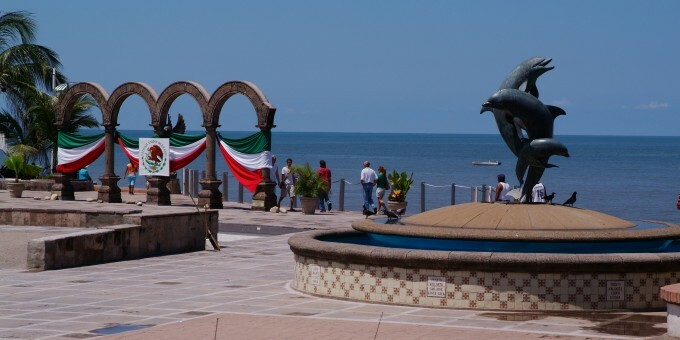 Puerto Vallarta – a town that served as a port to ship the silver being mined from the Sierra Madre mountains that lay just behind this city – has all the character of traditional Mexican town interwoven with modern comforts of 21st century living – and offers something for everyone. Its cobbled streets and cathedral set the scene in the town, which has a traditional, easy-going feel to it. There are hotels to suit every taste and budget. The activity list is never ending – and this area provides great topography for all kinds of eco tours – which is why these tours are growing here at the fastest pace of any other activity around. Puerto Vallarta is in the state of Jalisco, home to the second largest city in Mexico – Guadalajara – which gave Mexico such things as the Mariachi, The Mexican Sombrero and Tequila. 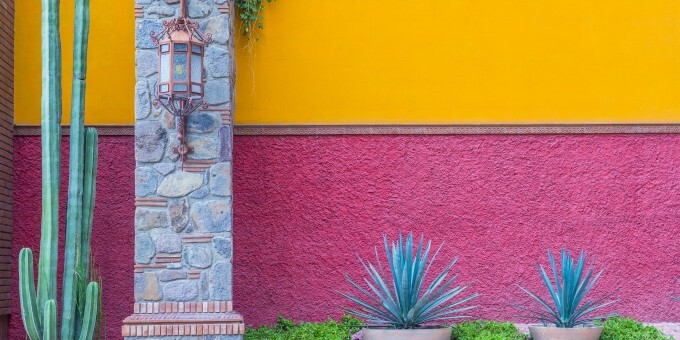 A trip to Guadalajara is very convenient from Puerto Vallarta and is a worthwhile way to experience one of Mexico’s big cities for a day or perhaps longer. Puerto Vallarta and its surrounds offer you the opportunity to explore around 25 miles of absolutely stunning beaches. Many of the beaches are secluded, and can only be accessed by boat. Don’t let this put you off exploring them – cruises and tours are available. Some of the beaches are only accessible by car as public transport is limited in the area – by driving north or south of the town. You may rent a car locally: either from Puerto Vallarta (ideal if you fly there to get to Punta de Mita) or if your hotel or accommodation agent picks you up from the airport, you may be able to rent a car on ad-hoc days, directly from the hotel/resort or agent. Puerto Vallarta is a water lover’s paradise. Sailing and SCUBA diving are big pastimes here – whatever your level of experience, good diving is available. Water-skiing off the bays and parasailing, jet skis, windsurfing, kayaking and so on… – all of the water sports you’ll want are right here waiting for you in Puerto Vallarta. See Also: Mexperience Guide to Water Sports in Mexico. From November through to March each year, you can take an organized eco boat tour to watch the hump back whales as they arrive to reproduce and bear their calves. Departures are usually from nearby Puerto Vallarta, although some operators may also pick up from quays in the Punta de Mita area. See Also: Mexperience Guide to Nature and Adventure in Mexico. Puerto Vallarta is one of Mexico’s top destinations for weddings, anniversary celebrations and honeymoons. With it’s idyllic setting, it’s fabulous beaches and wonderful atmosphere, there is little wonder it is the preferred location for so many people planning to mark a special occasion in Mexico. For full details, see our guide to Weddings and Honeymoons in Mexico. Local Boat Tours are a great way to see remote places otherwise not accessible or difficult to get to. Your tour can include stops at good places for swimming, snorkeling and diving, give you access to remote and secluded beaches, or if you just want to relax – take a sunset cruise and watch the sun melt into the Pacific Ocean in style. Sports fishing is a huge and very popular pastime in this area. There are many sports fishing operators working locally who can help you to set up a fishing trip designed around your needs and budget. See Also: Mexperience Guide to Sports Fishing in Mexico. Not only is the climate here ideal for Golf, but there is a stunning selection of great golf courses to choose from around Puerto Vallarta. The Course next to the Four Seasons resort in nearby Punta de Mita is one of the best golf courses in Mexico as well as one of the world’s top courses. By Air – Puerto Vallarta’s (PV) international airport is extremely well-served by a range of airlines. You can fly to PV from the United States and and other points in Mexico including Guadalajara, La Paz, Leon and Mexico City. The airport is situated about a twenty minute drive from the center of Puerto Vallarta on the north side, and the ground transportation is available to take you into town and the hotel zones. For detailed information about flights and flying, see the Mexperience guide to Air Travel in Mexico. By Bus – You can travel to Puerto Vallarta on a luxury bus from Mexico City – but note that the trip will take around 14 hours. From Guadalajara, the journey time is about 6-7 hours. Puerto Vallarta is flanked by large mountains, so the roads in and out of the area are steep, winding, and take time to negotiate. Flying is the most sensible way to get to Puerto Vallarta, unless you are on a budget, and don’t mind the wait (and want to see the sights along the way). For detailed information about bus transportation read the Mexperience guide to Bus Travel in Mexico. By Car – The road journey to Puerto Vallarta from inland Mexico (e.g. Guadalajara, Mexico City, Chihuahua, et al) is mountainous and winding. Expect it to take longer than you anticipate if you’ve only looked at non-topographical road map. The easiest route in and out of Puerto Vallarta is by using Highway 200 — the coast road — although if you plan to go inland to Guadalajara or Mexico City, then this road will take you well out of the way you really want to go. Traveling out of Puerto Vallarta by road north to Punta de Mita, or south to Costalegre and Manzanillo is straightforward: the roads are good and the terrain is easy to negotiate in a car. See additional information on Mexperience about Driving in Mexico and Mexico’s Toll Roads. Car Rental – There are some stunning areas just north and south of Puerto Vallarta that can be explored along the coast roads, and renting a car locally is ideal and effective way to experience them. Having your own car will give you more flexibility than using public transport options and, in some cases, offer you access to places which are otherwise difficult to visit without the use of a car. Read our guide to Car Rental in Mexico to learn what you need to know about car rental in Mexico and connect to the Mexperience Travel Center to reserve your Rental Car. Highway 200 is a beautiful coast road which hugs the edge of the land facing the Pacific Ocean. If you plan to explore the Costalegre as part of your visit to the region, a rental car will be essential, unless you plan to simply stay-put at one of the resorts there, in which case arranging for ground transportation (see Airport Transfers, above) between the airport and your resort, is the best option. Easter Week is the busiest time of year in Puerto Vallarta, as many Mexican and foreign families descend upon this, one of their favorite holiday destinations in Mexico! If you want to visit Puerto Vallarta during the Easter holiday period — you will need to book well in advance to be assured of securing decent accommodation. Exchanging Currency:Banks with ATM machines are found throughout the downtown area of Puerto Vallarta. During business hours, they and the Casas de Cambio will buy traveler’s checks and cash from you as well. For detailed information about exchanging and managing your money, read the Mexperience guide to Money in Mexico. Safety: Puerto Vallarta is extremely safe. You’ll see local police dressed up white “safari type” uniforms; they are trained to provide assistance and directions if you need it as well as security. Pedestrian Care: Take care when crossing the roads on foot in Puerto Vallarta. The local drivers, especially buses, can be a bit on the aggressive side. If you’re traveling with children, take extra care when you are near public roads. Police man some of the crossings in the center of the town and stop traffic to let people across. Nightclub Scene – Although Puerto Vallarta is not as wild and lively at night as neighboring Mazatlan it is still provides excellent and varied night life for visitors. In fact, Night Clubs are a big part of the holiday scene in Puerto Vallarta, and like their Acapulco and Mazatlan counterparts, they don’t stop till the sun comes up! Some night clubs charge an all inclusive cover fee; some a smaller cover and drinks on top. Drinks are served all night – don’t even consider going to a nightclub before 11pm. Nightclubs keep going all morning and most people will start to leave between 5 and 7 am. Beach Clubs – Some hotels provide night-club facilities in areas that lead out onto the beach… so does the music, dancing and drinks! Night Bars / Restaurants – All over Puerto Vallarta there is a selection of local, national and international names in Late Night Entertainment. Puerto Vallarta offers some good places to shop and buy authentic Mexican goods. Don’t expect any commercialized shopping malls – although there are a couple of plazas with big name shops. Instead, look for the smaller, traditional and independent traders that offer unique Mexican arts and crafts. If you’re buying from a shop, remember that you can ask for items to be delivered to your local hotel later in the evening, which will save you carrying them around with you. The Huichol Indians, descendants from the Aztecs and one of the last truly indigenous people’s of Mexico have begun to market their artwork and crafts in Puerto Vallarta. Their People live high up in the Mountains behind the town. Huichol art has two main ‘branches’ – yarn paintings and beaded works. The yarn paintings are said to depict visions that the Indians have, and always tell a story, which will usually be written on a piece of paper in Huichol and Spanish and attached to the back of the work. Pictures of wolves, snakes, scorpions and deer depict traditional Huichol elements of Huichol lore; other animals have been added due to ‘market demand’. The beaded works are usually wooden shapes which have beads attached to them with wax, and represent the shape of an animal – see note above for the animals that represent true Huichol lore. Puerto Vallarta offers you year-round warmth. The rainy season is May to October, but as with most monsoon areas, rains tend to be fierce and brief in the late afternoon, leaving the evenings dry and cooled off. September brings the highest levels of humidity and sees the heaviest of the rains. By late October / early November, temperatures cool significantly from the later summer high temperatures and humidity.